The Department for Transport (DfT) has verbally informed Stagecoach that it has been disqualified from three UK rail franchise competitions after it was shortlisted. West Coast Partnership where it was part of a joint bid with Vrigin Group and SNCF. The disqualifications come after the DfT expressed that Stagecoach had submitted non-compliant bids principally in respects of pensions risk. Stagecoach Group Chief Executive Martin Griffiths said: “We are extremely concerned at both the DfT’s decision and its timing. “We have drawn on more than two decades of rail experience and worked in partnership with local stakeholders to develop high quality proposals to improve each of these rail networks. 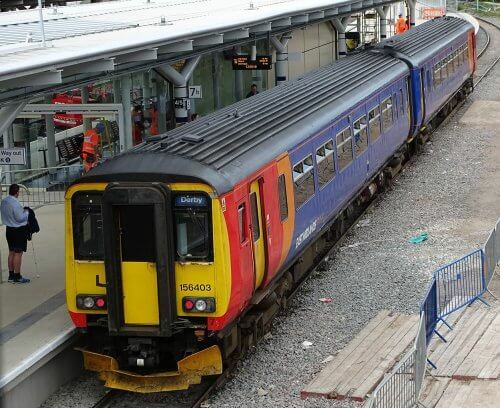 Without ongoing Government support for the long-term funding of railway pensions, The Pensions Regulator has indicated that an additional £5bn to £6bn would be needed to plug the gap in train company pensions. “In contrast, the rail industry proposed solution would have delivered an additional £500m to £600m into the scheme. “This would have provided better stability and security for members and much better value for taxpayers. “We are shocked that the Government has rejected this for a higher risk approach.